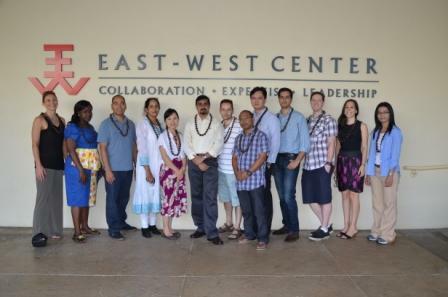 The first ProSPER.Net Leadership Programme was hosted by the East West Center in Honolulu, Hawaii, from 16 to 24 November. Participants from 10 countries went through a unique experience that will assist them in leading efforts towards developing work with a clearer vision and understanding regarding diverse perspectives, focusing on collaborative efforts, leveraging networks and involving multiple stakeholders. The programme included lectures on leadership, future scenarios, strategic communication, climate change, environmental education and field visits which provided different examples of community engagement and insights on the types of required leadership that enable sustainable actions to thrive. Outcomes from the first Leadership Programme will be posted online in due course.